Edith Jordan Wilcox loved the arts and her community. The Wilcox Foundation and Gallery exists because she wanted to continue making a difference in the community she loved. We strive to promote the arts in Washington and surrounding rural counties by providing exposure to the arts, offering hands-on learning opportunities, and supplying arts education. Edith Mae Jordan Wilcox started her education in a one-room schoolhouse, graduated from law school and was admitted to the State Bar, and became an active community volunteer and part of the family land, timber and sawmill business in Washington County, Alabama. “Miss Edith” was born May 23, 1916 in Spencer, Alabama, near Yarbo in Washington County. She was the third child of Martha Annie Lober and Ellis Lee Jordan. Her schooling began in the Yarbo one-room schoolhouse with her two older sisters. When she was six, she moved with her mother and two sisters to Mobile so the girls could receive a more complete education. She attended Leinkauf and Woodcock Elementary schools and Barton Academy for seventh grade. Her mother believed that her young daughters should be kept busy and educated in the arts, and drove them to elocution, swimming and diving, piano and violin lessons in the family Packard. “Edie” played basketball, was a Murphy High School cheerleader, and as a senior had her own piano recital. She graduated from Murphy High School in 1932 and went to Tuscaloosa with her two sisters and mother, where she attended the University of Alabama. She earned an LLB degree from the School of Law in 1939 and was admitted to the State Bar. She was one of five women in her law school class of 85 students. Mrs. Wilcox and her husband, Roy, married in 1942. While he served in the Army Air Corps in New Guinea, Mrs. Wilcox began a tradition of volunteerism which ended only upon her death on July 12, 2011 in Washington County. When her husband returned from service, Wilcox and Plemmons Sawmill Co. was established, later changing to Long Leaf Lumber Co. The business closed in 1980 after employing many members of the community making quality yellow pine lumber. Miss Edith’s extensive civic activities made a tremendous positive impact in the community. Her many civic activities included: Washington County Conservation Club; Washington County Cattlemen’s Association; National Rifle Association; 50 year member Red Cross; 50 year member Order of the Eastern Star, State Officer 1956-57; 50 year member Extension Homemaker’s Council – Alabama State President 1969-70; Extension Mutual Service Committee of ACWW from 1983-89 (London, England); Appointed member of the St. Stephens Historical Commission (1989); Founding member of the Washington County Public Library Board – 17 year member of the Friends of the Washington County Public Library; 2010 recipient of the Alabama ALLA Humanitarian Award; Founding member, United Way of Washington County, -Executive Board member/ 1996 Washington County United Way Humanitarian of the Year, deTocqueville Award ; Washington County Hall of Fame 2002; Murphy High School Hall of Fame; Distinguished Service Award – Alabama Historical Commission; and a member of the Washington County Hospital Board. She was a long-term member of Chatom First Baptist Church. Jordan-Wilcox Stadium at Washington County High School bears her family names as a tribute to her vision and generosity. She donated the land for the building of the Chatom Community Center that is also named for her. Mrs. Wilcox established an art gallery in Chatom to showcase her collectibles and memorabilia from her world travels. She traveled in over 60 countries and all 50 U. S. states. Creating the Wilcox Gallery was a dream of Mrs. Wilcox for many years. She and her husband, Roy, enjoyed to travel and purchased items of beauty from each of the countries they visited. She housed these collections at her home but dreamed of having a venue to showcase her treasures that was more accessible. When the Blouke Home, located on Granade Avenue in Chatom, became available, Wilcox acquired it to share her collection. The Gallery celebrated its opening in December 1992. Often utilized as a picturesque venue for meetings and parties, the Gallery boasts an assortment of artwork incuding: paintings by local artist, carved wooden bowls, Boehm porcelain birds and flowers, Anri and Hummel figurines, paperweights by Caithness Artists, music boxes, needlepoint works, dolls from around the world, Waterford crystal, and many others items of interest. 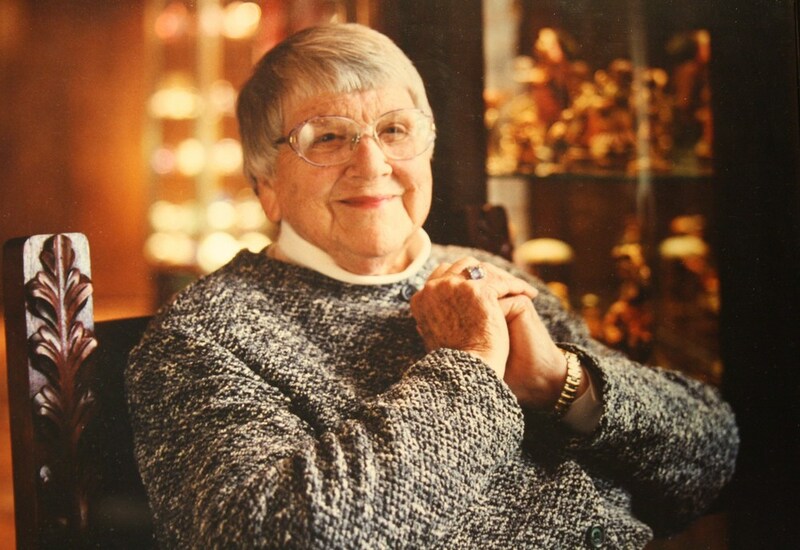 Finally, she established The Wilcox Gallery and Foundation to continue to her legacy by educating and entertaining the residents of Washington County for years to come through bringing the arts to the rural community and schools.